In this episode, I’m going to read a text about the Brazilian movie “City of God” and revise the verb SER in the Indicative, Imperative and Subjunctive moods. 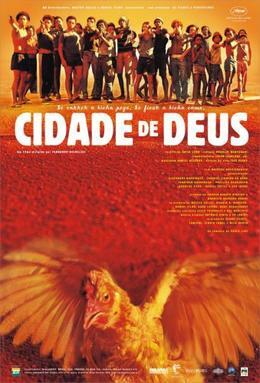 Cidade de Deus, filme brasileiro dirigido por Fernando Meirelles, é baseado no romance Cidade de Deus de autoria de Paulo Lins. This entry was posted on Friday, November 14th, 2008 at 7:32 pm	and is filed under Uncategorized. You can follow any comments to this entry through the RSS 2.0 feed. Both comments and pings are currently closed.